So we have a new iPhone coming out today, one that has finally achieved full market penetration -it will be available on all three major networks in Japan. 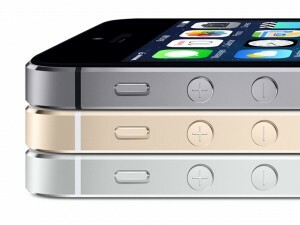 I have owned two iPhones (a 3GS back in the day, and a 4S that I’m using at the moment). 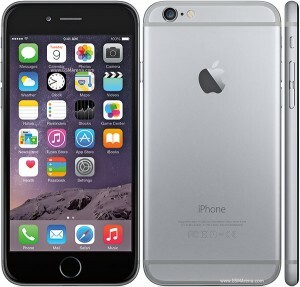 I will have paid off the 4S in a couple of months, so have been thinking about upgrading. Another factor is that I upgraded my 4S to run iOS 7 yesterday, and so far I am very happy with it. The battery seems to be holding up fine, it runs fast and does everything I want it to. I really like the new operating system, and it seems to be happy on my old phone. The new iPhone 5S has had some pretty good reviews, and is technologically interesting, but basically is not going to improve my life. The only thing it does that my current phone does not is provide an internet hotspot (like the iPhone 5). Doing some rough calculations, upgrading to a new phone is more or less cost neutral, at least for the first year or so. After that it will cost me about an extra 2000 yen a month. Verdict: undecided. I am going to wait a bit longer and see what the new phones are like. Quite a few people around me are planning to upgrade. I’ll also go in and talk to Softbank and get some accurate numbers off them. Has anyone got an iPhone 5S yet? Is it worth it? 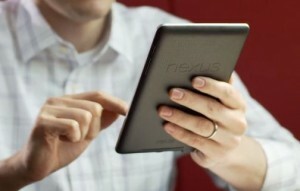 The Nexus 7 tablet by Google and Asus was finally released in Japan last month. I am a huge Google fan and am looking for alternatives to the iPad for the classroom. It was too good an excuse, so I went ahead and ordered one. My wife has an iPad 2, and I will be comparing the Nexus 7 to that, as well as to my iPhone 4S. This is my first Android device. In brief: it’s great. I really like the 7″ form factor. It feels much lighter and easier to hold than the iPad, and at just under 20,000 yen, it is less than half the price of the new retina iPad. 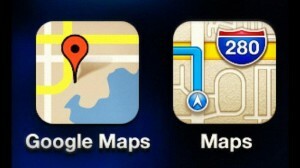 Not as intuitive as iOS in terms of navigation, etc. I love this tablet. For reading ebooks, watching movies, carrying around with me, reading PDFs, accessing the Google online world (gmail, reader, drive, etc.) it is wonderful. I’m really glad I got it, and it will supplement my iPhone 4S for most of these tasks. However, unless I can get around the lack of Flash support (there seem to be workarounds for it, but they are not official and involve some risks) we won’t be buying these for students to use in class. It’s a shame, as the smaller and lighter form factor would make them easier to use for children than iPads. Basically, if you use Google sites like gmail, drive, and reader, if you read ebooks and need a tablet to take movies and music on the road with you, this could be ideal. As a classroom tool it is crippled by the lack of Flash support. Anyone else tried the Nexus 7? The title above says it all. I would love to see more of my students thinking beyond the education box. Tip of the hat to Parin.